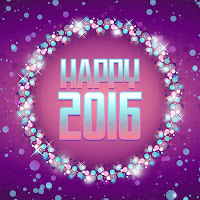 Everyone at BCE (Belilove) would like to wish all of our customers, vendors, suppliers, families and friends a very happy, healthy and prosperous 2016! We look forward to serving our customers and working alongside our partners and employees for our mutual success and growth. Life science and analytical instrumentation are designed to determine the identity and structure of inorganic and organic liquids and gases, and then detect, separate and analyze their individual compounds. These processes require the application of heat to the sample. Very specialized heating elements are normally required to achieve the temperatures (300 deg. C to 500 deg. C) to achieve breakdown of the samples into base components. Since sample sizes are normally very small, the heating elements must also be small, react quickly, and be easy to control. Typical applications for these heaters are mass spectrometers (MS), high performance liquid chromatographs (HPLC), other gas chromatography (GC), flow instrumentation, toxic gas analyzers, and laboratory culture instruments. BCE is a leading designer and fabricator of high performance, highly accurate, fast responding heating elements for life science and analytical instruments. Intrinsic Safety Barriers are devices that limit power delivered from a safe area into a hazardous area. The possibility of an explosion is prevented, not merely contained (by a housing or a conduit). The total energy is maintained within safe limits, not electrical energy (voltage and current), eliminating an ignition from excessive heat. The use of an intrinsically safe design offer many cost and safety advantages. Easy access to components - no time spent opening/closing explosion proof enclosures. Safety assured due to low voltage system. Use of standard wiring, cable runs, and light gauge cable. Calibration and maintenance the same as if in a general purpose area. No special hazardous area procedures for opening enclosures, area gas testing, or shut-down process. Simple use of plug-in modules. The document below provides an excellent explanation into Intrinsic Safety and goes far more in to the background, concepts, principles, and devices used in this approach to safety in hazardous areas. Screw plug heaters used as basin heaters on cooling towers. 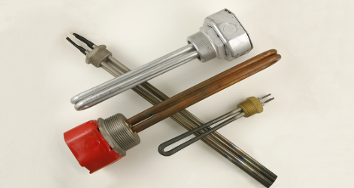 Industrial electric immersion heaters, more specifically "screw plug" immersion heaters are used in many commercial and industrial applications for keeping gases and liquids flowing at required temperatures. Cooling towers use screw plug immersion heaters for freeze protection of the cooling tower basin. Cooling tower diagram with basin heater. The purpose of a basin heater is to prevent water from freezing in the cooling tower basin during periods of shutdown or standby operation. After the water passes from the top of the tower through the distribution system, it cascades down to the collection basin at the base of the tower structure. From the collection basin, the cool water can be pumped back into the system and begin the process all over again. As a general rule, basin heaters are normally sized to maintain a 40°F basin water temperature at a 0°F ambient condition. 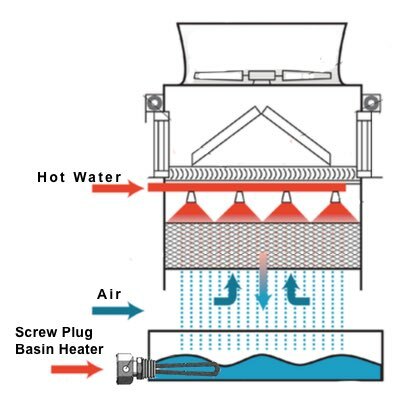 When the system is running, the basin heaters should be powered off as the heater isn't required due to agitation and the heat load picked up during the cooling cycle. The heaters do need to be operational when the cooling tower enters standby or is shutdown for maintenance though. Thermostats, or other on/off controls, are used to tun the heaters on below 40°F and when the cooling tower pumps are not running. The basin heaters are intended only to keep the basin water from freezing and not intended to act as freeze protection for other pumping or filling components. Check out the new design mini heater designed to heat flowing gases and liquids. Designed and developed by BCE. Baking, Drying, Laminating, Metal Working, Packaging, Plastic Welding, Preheating, Sealing, Soldering, Shrink Fitting, Synthetic Fabric Sewing. Designed for heating of clean gas. not exposed to resistive elements (ni-chrome). 304 stainless (other material available). Need a high performance electric heater in a low mass, low profile package? Need to put high watt density a small space? Or maybe you need to distribute wattage disproportionately to an irregularly shaped part? Thick film ceramic heater technology is the answer! Ceramic thick film heaters are easily customized into a variety of shapes and sizes, and provide excellent heat transfer. Long life is assured by precise thermal matching between ceramics and resistor traces. 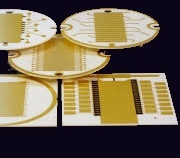 The heater ceramic substrates provide excellent hardness, wear resistance, and compression strength. The physical properties of the ceramic also provide optimal thermal conductivity and excellent uniformity. 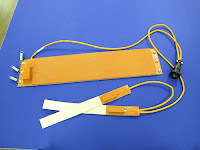 Thick film ceramic heaters are perfect for application in analytical equipment, life science equipment, mass spectroscopy, medical devices, semiconductor processing, packaging machines, and in applications ultra pure and chemically aggressive media. Virtually unlimited in shape or size. Single or double sides, one or two layers per side. High purity applications no problem. Precise control and uniformity via custom watt densities and patterns. Distributed wattage for ideal application of heat to part with minimal losses. Multiple heating zone capabilities for more precise control. Available in virtually any voltage, AC or DC. Integrated sensors including thermistors, thermostats, thermal fuses, and printed RTD's. Wide variety of lead configurations conforming to shock and vibration, vacuum and purity standards. Many types of industrial and manufacturing equipment, including analytical instrumentation, semiconductor, photovoltaic, medical, plastics processing, foodservice packaging, and aerospace equipment require some kind of custom electric heater, controller, and sensor. For instance here, in semiconductor processing, you can find a need for electric heating in all these areas: Bake platen heaters, bake/chill pedestal & platen heaters, hot chuck heaters, high temperature platen heaters, standard pedestal heaters, vacuum chamber heaters, and aluminum pedestal heaters. A well engineered thermal system considers overall heat load, maintenance power requirements, control method, and sensor location. Working with a vendor who has the experience and background in this kind of product development is critical. Careful consideration of form, fit, and function requires the guidance an experienced applications engineer to avoid wasted time and money. 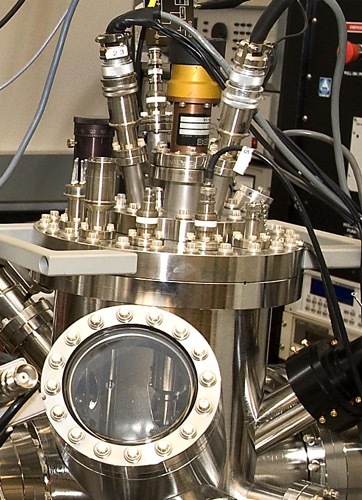 Equipment manufacturers and scientific researchers are continually challenged with supplying power, fiber-optic, control, and monitoring cables through sealed vacuum vessels. Whether due to space restrictions, special geometries, or number and type of conductors, standard glass-to-metal or ceramic feedthroughs never quite fit the bill. Unfortunately, because of limited options, many designers are forced to compromise and go for an off-the-shelf solution. During the past decade, new epoxy compounds have been developed that rival glass and ceramic in performance. With modern epoxy feedthroughs, any kind of standard or custom connector is sealed in a completely potted, high-performance, clear epoxy compound. Epoxy seals offer countless design options, and most amazingly, performance equal to or better than glass or ceramic. Better yet, pricing is very competitive and quick turn-around for prototypes and short production runs are not a problem. Here’s a very handy reference document (courtesy of Hotwatt) for the application of electric heating elements in industrial and OEM applications such as extruding, vulcanizing, laminating, curing, bonding and thermoforming. The heater application guide provides all the important technical look-up tables required to properly apply electric heaters, such as wattage calculation formulas and examples, properties of metals properties of non-metallic solids, properties of liquids and gases, suggested watt densities, estimates of wattage required, guide for heat losses, suggested sheath materials, installation, Ohms Law, and typical wiring diagrams. The reference document is also very helpful when designing custom electric heating elements and designing a thermal system. Take it all through the wall! Equipment manufacturers and scientific researchers are continually challenged with supplying power, fiber-optic, control, and monitoring cables into (and out of) sealed vacuum vessels. Whether due to space restrictions, special geometries, or number and type of conductors, standard glass-to-metal or ceramic feedthroughs never quite fit the bill. Unfortunately, because of limited options, many designers are forced to compromise and go for an off-the-shelf solution. Epoxy to the rescue. During the past decade, new epoxy compounds have been developed that rival glass and ceramic in performance. BCE is at the forefront of this development and leverages modern epoxy's unique properties to solve your feedthrough challenges. For more information visit www.belilove.com/feedthrough. In 1953, a group of professionals met in 1953 in New York City to discuss high vacuum applications and problems. In 1957 the group formally named itself the Advanced Vacuum Society (www.avs.org) and has since then grown into multiple technical divisions and technical groups that encompass a range of established as well as emerging science and technology areas. Today, the AVS is self-described as " .. an interdisciplinary, professional Society, AVS supports networking among academic, industrial, government, and consulting professionals involved in a variety of disciplines - chemistry, physics, biology, mathematics, all engineering disciplines, business, sales, etc. through common interests related to the basic science, technology development, and commercialization of materials, interfaces, and processing area." Each year they hold their International Symposium & Exhibition that draws over 3000 people. This year the 62nd International Symposium & Exhibition is being held on October 18 through 23 at the San Jose Convention Center. You can learn more about it here. For anyone involved in material science, or vacuum technologies, its an excellent organization to join. BCE is proud to support the AVS, and will be exhibiting products unique to this group, namely: custom board mountable vacuum feedthroughs for quick turn prototypes, custom heater assemblies, controllers, sensors, ceramic metallization, and precision laser machining and drilling for difficult applications. If you visit the exhibition, please stop by and visit us at booth 914. Need a small, compact electric heater to heat flowing air or gas? Equipment manufacturers and laboratory engineers can find themselves challenged to provide a stream of clean high temperature air or gas. The solution? A mini “process air” heater. These heaters are designed so that the stream of air is heated by passing over an enclosed heated metal surface rather, than directly over resistance elements. This prevents contaminants from entering the flow of gas. Designed for applications where streams of high temperature, clean air is needed. Air flow passes over an enclosed heated body; not exposed to ni-chrome resistive elements. Constructed of 304 Stainless Steel (other material is available). High temperatures, ranges and temperature sensors are available. Electric process air heaters provide quick heat up and cool down cycles with maximum heat transfer. They are compact and available in a variety of voltages. There are many uses for these clean air process heaters. Some general applications are laminating, drying, baking, shrink fitting, plastic welding, soldering, preheating and metalworking, and packaging. Do you need a small, compact electric heating system that can heat flowing gas or air up to 1000 degrees F.? You may want to consider an inline "air process heater". These fabricated (usually custom) electric heaters are self-contained, provide inlets and outlets, wiring, sensors to measure internal temperatures, and are available in a variety of materials. Air Process heater provide hot air and gas up to 1000oF (540oC) with infinite control by varying the voltage and air velocity supplied. Units are fitted with a tubing “T” for convenient power lead outlet, while larger diameters can be supplied with post terminals on the sheath for direct electrical connections. Designs can accommodate male or female NPT threaded fittings, hose adaptors, flanges, or custom fittings to your specifications. Determine the volume of air or gas(SCFM) you will be heating. Determine temperature rise in degrees Fahrenheit(􏰁ToF). Take into consideration the physical size requirements of your application and determine from the specifications chart for each size, the air heater best suited for your application. Exit air temperatures to 11000oF (540oC). Standard pressure rating is 80 psig at room temperature. May be used with recirculating air up to 250oF (121oC). For use with clean, dry air. One thing is for sure. You don’t want to scrap a $125,000 semiconductor wafer because dust or a contaminant gas exploited your process through a faulty electrical feedthrough. In vacuum or pressurized conditions, getting process control signals and power to and from the work environment is always a challenge. Continually evolving specifications of vacuum requirements, or pressurized manufacturing conditions, push the design limits of electrical feedthroughs. Failure of the feedthrough is not an option. In applications requiring ultra-clean environments, feedthroughs are always a concern. Historically, the product-of-choice for semiconductor manufacturing applications was glass-to-metal or ceramic seals. While providing an excellent seal, they are quite limited by geometry, size, electrical shielding, and fragility. Compounding these limitations, manufacturing requirements continue to evolve making it necessary to deliver more data, provide greater signal shielding, and provide higher power. With glass-to-metal and ceramic seals, this becomes very difficult, expensive, and many times, near impossible. Enter epoxy feedthroughs. The epoxy materials available today make it fairly easy to design feedthroughs with curves and angles well beyond the capability of glass and ceramic. Epoxy feedthroughs can be applied in many shapes and sizes, provides an excellent seal, and accommodates shielded cable quite nicely. In terms of cost, versatility, and availability, epoxy feedthroughs have a huge advantage. With manufacturing requirements pushing for smaller and more compact equipment, design versatility of the feedthrough is very important, and something that glass-to-metal feedthroughs can not match. Equipment design conditions often require special geometries of the connector, and using epoxy as the filler makes perfect sense. Another outstanding advantage to epoxy electrical feedthroughs are in availability. Small production runs are easily and quickly accommodated for testing and proof-of-concept. Ancillary cost savings of epoxy feedthroughs can be evaluated on design accommodation / size reduction, and on the ability to provide cable harnesses right up to the seal, which dramatically lowers production cost. 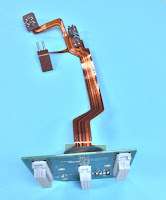 Time consuming manufacturing processes, such as soldering connectors, is eliminated. For the most part, epoxy electrical feedthroughs can fit the bill as a better alternative to glass-to-metal or ceramic feedthroughs. Very few exceptions exist, and usually center around concern of the organics in epoxy, but again, these issues are very limited. For more information contact BCE. An electrical vacuum feedthrough (sometimes spelled "vacuum feedthru") is used to transfer electrical signals, currents, or voltages into a vacuum. Because of the wide variety of feedthroughs, there are numerous categories available to meet the various needs provided by vacuum feedthroughs. Multi-pin feedthroughs have circular threaded connectors for moderate pin density. They are typically offered with differing numbers of pins (often, 3, 5 or 7) and rated to 3.5 amps and 500 volts per pin. There are both single-ended and double-ended versions which offer a connector for the air side or both air and vacuum side connectors respectively. A thermocouple feedthrough is an electrical vacuum feedthrough commonly used for systems involved in temperature measurement. The thermocouple feedthrough itself doesn’t measure temperature, but is used to conduct the voltage signal from the vacuum to an external device. These are suitable for use in ultra-high vacuum applications. Power electrical feedthroughs transmit high current and/or high voltage into a vacuum system. Variations of power electrical feedthroughs offer a range of current and voltage. Epoxy vacuum feedthroughs offer the best application flexibility, they are cost competitive, and they have a high vacuum performance for today’s fast moving markets. Clear epoxy feedthroughs allow for the visual inspection of your components. They are board mountable with high vacuum performance and very competitive pricing compared to ceramic and metal seals. Many accessories are available to be used in conjunction with the wide variety of vacuum feedthroughs. These included vacuum connectors, connectors, insulated wire, cable assemblies, insulators, and spacers, just to name a few. Specialized feedthroughs may be needed if your application includes cryogenic or very low temperatures, high temperatures, aggressive chemicals, or high pressure. Contact an experienced manufacturer who specializes in vacuum feedthroughs to discuss which feedthrough will best meet your needs. A company worth their salt should be able to discern which would be the best fit with minimal hassle. Visit this link for more information on electrical vacuum feedthroughs. Designing a Process Control Loop? Or maybe a Custom Thermal System? Call a Sales Engineer. Are you an engineer tasked with designing a new control loop for a manufacturing line? Or perhaps you're an engineer at an OEM designing a new piece of equipment requiring an electric heater, control and sensor? Call a sales engineer to make your job easier. Projects and tasks are best completed and accomplished through the proper application of the right resources. There exists an access point to high level technical knowledge and assistance that can be easily tapped and brought to bear on your successful task or project completion. Product Knowledge: Sales engineers will be current on product offerings, proper application, and capabilities. They also have information regarding what products may be obsolete in the near future. This is an information source at a level not generally accessible to the public via the Internet. Experience: As a project engineer, you may be treading on fresh ground regarding some aspects of your current assignment. There can be real benefit in connecting to a source with past exposure to your current issue. Access: Through a technical sales engineer, you may be able to establish a connection to “behind the scenes” manufacturer contacts with essential information not publicly available. The rep knows people, makes it his/her business to know the people that can provide answers to your application questions. Certainly, any solutions proposed are likely to be based upon the products sold by the representative. That is where considering and evaluating the benefits of any proposed solutions become part of achieving the best project outcome. 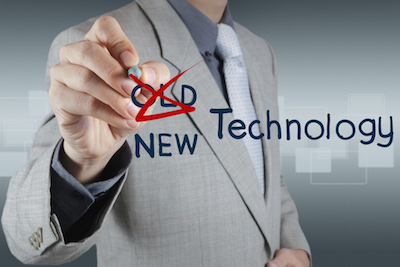 Develop a professional, mutually beneficial relationship with a technical sales team. Their success is tied to your success and they are eager to help you. The following, courtesy of Hotwatt, is a good reference for selecting an electric heating element for both OEM and process heating applications. Included are all types of industrial electric heaters - cartridge, band, tubular, immersion, duct, circulation and cable. Here is a very handy "cheat-sheet" for calculating Ohm's Law and other engineering constants that come in very handy when calculating wattages, voltages and current draw of electric heating elements. These equations are important when sizing any type of electric heating element including cartridge, band, immersion, or flexible heaters. To calculate any wattage, voltage or current, you need to know two of the variables and refer to the diagram in the document to calculate the third. Another important quick reference chart is Fahrenheit to Centigrade temperature conversion as shown below. A cartridge heater is a cylindrical electric heating element constructed by tightly winding nichrome wire around a ceramic bobbin, and inserting the wound bobbin into a metallic tube (sheath). The tube is then backfilled with magnesium oxide (MgO) powder to electrically insulate the nichrome wire from the sheath. The heater diameter is then reduced (swaged) to compact the magnesium oxide for better dielectric, while at the same time improving thermal conductivity. 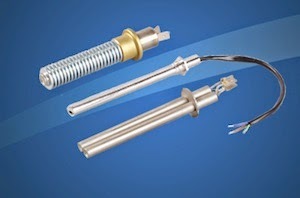 Cartridge heaters come in many diameters and lengths. They vary in voltages, wattages and watt densities. Sheath materials are typically Stainless Steel of Incoloy 800. The electrical leads terminate from one end of the heater and vary in length and insulation material, depending on application and operating temperatures. Most cartridge heaters are used in some form of die or platen heating. A close tolerance hole is drilled into a metal block, and the proper diameter heater is then inserted in to the hole. It is best to make sure the diameter of the heater is just a few thousands of an inch less than that of the hole, so that maximum surface contact, thus thermal conductivity, can be achieved. A loose fit will cause the internal temperatures of the cartridge heater to climb and the heater will fail prematurely. Looking for an excellent source for stock cartridge heaters? Check out his link. OEMs often need custom designed heating elements for their equipment. Designing an electric heating element, or a complete thermal system, requires both electrical and mechanical engineering skills. Often, you can save time and money by calling in an expert with the proper experience to assist. Belilove Company-Engineers has decades of experience developing custom thermal solutions in many industries - from low tech to cutting-edge high tech, from foodservice appliances to semiconductor processing equipment, Belilove has "been there, done that". So the next time you need an electric heating element, temperature sensor, or controller, Think Belilove. Annunciators are found in industrial control rooms, boiler rooms, power substations and just about any type of process control operations room where the process conditions need to be closely monitored and where constant status indication is important. How many alarm points do you have? Annunciators break down alarm points by "cell" and you call out the number of cells based on the layout desired. For instance, a 1x4 would be 1 annunciator cell tall by 4 cells wide. Dictates how alarm points and pushbuttons are arranged. Do you need electrical outputs? For a detailed annunciator selection guide (courtesy of RONAN Engineering) visit this annunciator selection guide link. High-temperature refractory metallization is the only solution for some packaging applications. Tungsten and Moly-Manganese metallizations have higher adhesion to the substrate than thick-film metallization. This makes it the ideal process for hermetic packages, brazed lead frames and packages requiring high operating temperatures. These metals can be screen printed, sprayed or hand-painted onto alumina oxide or beryllium oxide substrates. Patterns can be plated with gold and nickel or gold alone. Once gold plated, these surfaces are solder-able and wire bond-able with aluminum or gold wire. Batch furnaces are ideal for accurate brazing of small quantities and large. 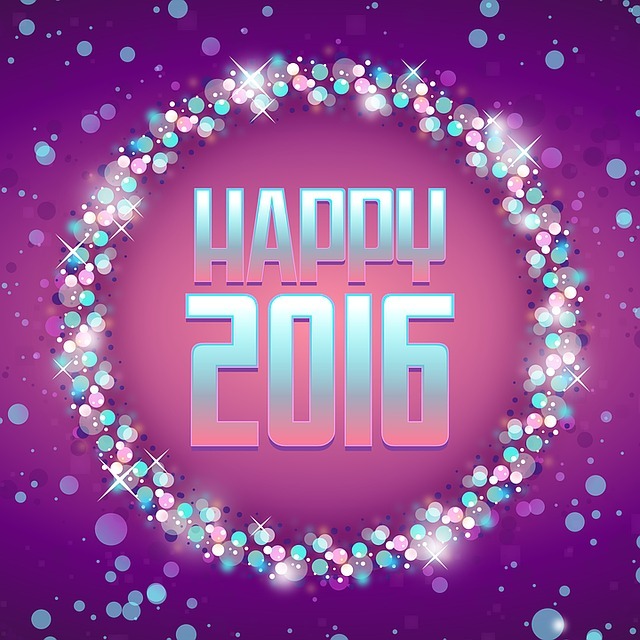 Kovar, stainless steel, copper and copper/tungsten as well as many other metals can be brazed to metallized ceramic. When the application requires, step brazing can be performed to combine several sub-assemblies into the final product. Industrial thermocouples, as the temperature sensor in a thermal system, are explained in the video below. Thermocouple "Types", based upon standardized color designations is discussed, as well as thermocouple connectors, polarity and some aspects of construction (such as grounded vs. ungrounded vs. open tip). Thermocouples are a fairly accurate, economic temperature sensor used in many industrial applications. They operate on the "Seebeck Effect" which is the phenomena of dissimilar metal conductors producing a measurable voltage difference between two substances. Thermocouples are used widely in industrial thermal system design in industries such as power generation, primary metals, pulp and paper, petro-chemical, and OEM equipment. Thick film heating elements, originally designed for the automotive and military industries, are manufactured by depositing several layers of conductor, resistors and dielectric on to an insulator via a screen printing process. The dielectric is normally some type of glass or ceramic and provides electrical insulation for the screen printed heating tracks. Thick film heating elements are almost always custom designed for OEM applications. They can be designed in all shapes and sizes, and have an ability to provide very high watt densities with excellent controllability. The largest markets for these heating elements are appliances, analytical instruments, automotive, semi-conductor, medical device, scientific and military equipment. Because of their inherent low mass, and their ability to carry high watt densities, thick film heaters are very efficient and are an excellent choice where a rapid heat-up (response) is required. Watt-Density up to 175 watts per sq. in.